Making sense of minor league statistics is hard. One has to be very familiar with historical performances in different leagues, and how performance evolves after leagues change, to form an intuitive expectation of how minor league performance translates to the MLB level. 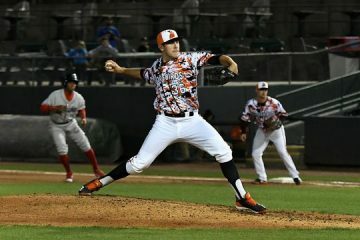 Major league equivalencies (MLEs) make interpreting minor league performance easier (see this Fangraphs article for an introduction). They convert all minor league performances to the same MLB baseline, allowing for comparison between leagues. Clay Davenport has found they have similar predictive usefulness to MLB statistics. Bill James called them his most important concept he has ever come up with. Tom Tango “hates how they are used,” but sees them as a first step (check out the article for a good criticism). MLEs are an important input in non-aggregate major projection systems—for example, ZiPS, Steamer, and THE BAT. A few years back, minorleaguesplits.com offered an MLE calculator where readers could plug in minor league performance in any league and receive an MLB equivalent output. This site is no longer updated. The Dynasty Guru’s new MLB Equivalency Calculator fills the gap. The method for The Dynasty Guru’s MLB equivalencies is simple: I capture performance changes from one level to the next, e.g. players may maintain 90% of wOBA (league adjusted) after moving from the Pacific Coast League to the American League, or from the Eastern League to the International League. I make a few small custom tweaks to the performance changes to improve accuracy and reasonableness for strikeouts, walks, and isolated power. I then chain performance changes together to convert every minor league performance from every league to the same, American League baseline. I also adjust for one year of aging using a spin on the aging curves method from my recent series on aging (I use post 2004 curves for the calculator). The aging adjustment improves accuracy. As a test of usefulness, I looked at how well my MLEs plus one year of aging change predicted rookie MLB weighted on-base average (wOBA) in the following season. I measured average absolute error weighted by rookie season plate appearances to evaluate predictive usefulness (validity). Along with root mean square error (RMSE), average absolute error is the industry standard in forecast evaluation (I find similar results for RMSE, though they are not shown here). My MLE “forecasts” only include one year of performance data and one year of aging. They adjust for league difficulty but not park difficulty – if they adjusted for park they’d improve a bit. They don’t regress BABIP at all; regressing BABIP would also improve accuracy. I find similar average absolute errors between my forecasts and Steamer rookie forecasts in 2016* – 12.4% average absolute error for my forecasts, 11.8% for Steamer. To put this in perspective, for a league average rookie in 2018, projected for a .320 wOBA, my forecasts would under-perform Steamer by less than .002 wOBA points. My forecasts perform similarly to Fangraphs’ depth charts projections for 2018 rookies as well (an average of ZiPS and Steamer)—average absolute error is 10.6% for mine, and 11.3% for depth charts. I test my forecasts out of sample (I only used 2015-2018 data to build them) on a broad time range (over a decade) and find a similar average absolute error to the in sample, 2015-2018 tests—11.6% for my MLEs, versus 12.2% for MARCEL rookie projections. MARCEL projects all rookies league average. In past analyses (see here and here), MARCEL holds its own in comparison to other major projection systems forecasting rookies, sometimes outperforming them, sometimes not. *I only had access to Steamer 2016 and Depth Charts 2018 projections. All the projection systems do better when forecasting rookies 23 and younger. Projecting older rookies is more difficult generally, probably because they tend to have a longer track record of mediocrity before MLB call-up. They are more likely to have over-performed in the minors when called up. Average absolute error in the 10.5%-12.5% range for rookie projections (across different systems) is similar to average absolute error for non-rookie MLB player projections (also across different systems), although a bit worse. 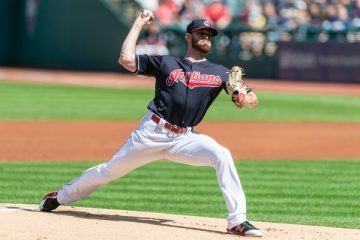 This Beyond the Box Score review of projections finds average absolute error of projections for all MLB players (rookies and non-rookies) ranges from 8.8% to 10.6%. If average absolute error is 2% worse for rookie projections than for non-rookie projections, that’d be about .007 wOBA points of additional error for a league average projection of .320 wOBA. I measure average absolute error for seven other statistics for 2015-2018 rookies*, and find similar results to other projection systems in Beyond the Box Score’s 2015 study for strikeout rate, walk rate, on-base percentage, and slugging percentage (BABIP, isolated power, and average are not evaluated in the Beyond the Box Score study). The table below shows absolute average error for these statistics for my system and for MARCEL. *wOBA average absolute error for 2007-2018 rookies. Error is slightly improved for 2015-2018 rookies. Similar to Clay Davenport then, I find major league equivalencies are useful for projecting rookies—only slightly less useful than projections for MLB veterans based on MLB statistics. One difference between my forecasts and most other forecasts is mine differentiate rookies more—my wOBA projections vary over twice as much as Steamer 2016 projections and Depth Charts 2018 projections. In my experience, I’ve found existing MLB projection systems, Steamer and ZiPS (in the above analysis), THE BAT (anecdotally), and MARCEL (by definition) tend to be pretty conservative when projecting rookies–most rookies are projected close to league average (relative to my MLE projections, which vary more). Only a few are projected above average each year. My projections are more aggressive, though wrong to a similar degree. Some readers may prefer this differentiation, as top prospects are often (but not always) given more optimistic forecasts in my system (for example, Ronald Acuna Jr. was far higher in my system than in other systems—though still too low). Some readers may not. My goal isn’t to outperform the other more complex forecasting systems, which appropriately account for a lot more than my MLEs, which only account for one year of performance and one year of aging. I’m a big fan of the existing systems and rely upon them heavily in my own decision making. My goal is simply to add another valuable input to help readers analyze rookies and prospects. 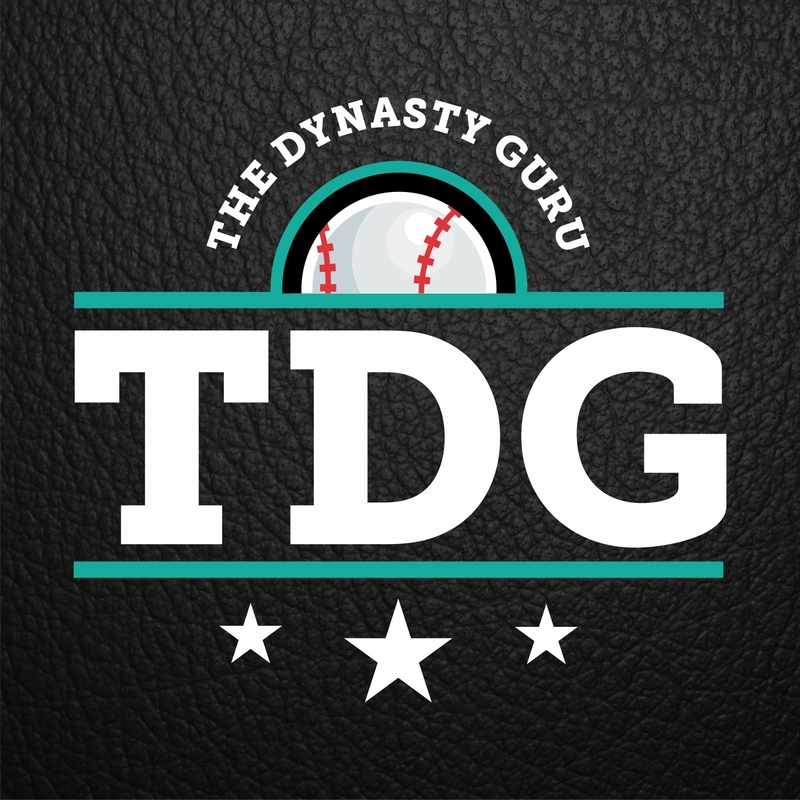 Find the calculator here: The Dynasty Guru’s MLB Equivalency Calculator. Go ahead and start plugging in rookies and minor leaguers! Note: I recommend using statcorner.com to plug in park adjusted wOBA. Eloy Jimenez’s 2019 projection is currently displayed in the calculator as an example. It is not park adjusted. 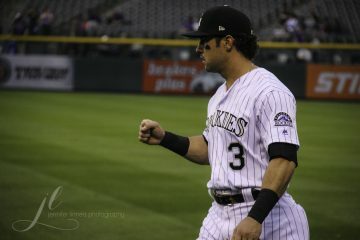 With park adjusted wOBA from statcorner.com, his wOBA projections drops to .368, very close to ZiPS’ .364 projection. Also, mind extremely high minor league BABIPs, e.g., for Vladimir Guerrero Jr. and Fernando Tatis Jr.. These guys may very well sustain high major league BABIPs, but their 2018 minor league BABIPs were too high to be fully sustainable (Vlad’s was over .400 in Double-A). Plugging in their 2018 BABIPs will thus overstate their projected wOBA (among other statistics) a bit. I’m working on a regressed BABIP-adjusted stat line for all statistics in the next update. For now, I only offer a regressed BABIP translation. This regresses BABIP 50% toward league average. In a later update I’ll try and add a park adjust feature for the other seven statistics. I’m also working with my colleagues to build a leaderboard that automatically updates major league equivalencies for all minor leaguers–release date TBD. Jordan is an American living in Finland. In addition to writing for The Dynasty Guru, he's a doctoral candidate at Åbo Akademi researching explanations of income inequality, and a Workforce Strategist at OnWork Oy. His favorite baseball area is quantitative analysis of prospects. Fun fact about Finland: they play pesäpallo here, which is like a soft-toss version of American baseball, except home runs are somehow outs. Dynasty's Child Episode 70: The Top Podspect is back BAY BAY!